We created a poster with a die-cut in the shape of a cow. 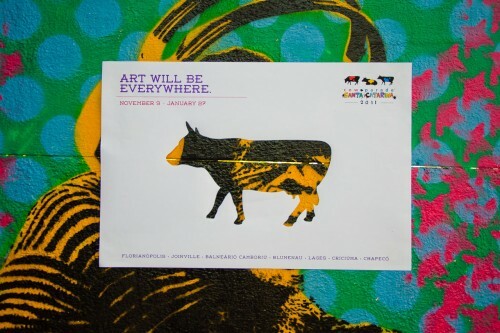 These posters were placed upon grafitti artwork in over 100 locations. 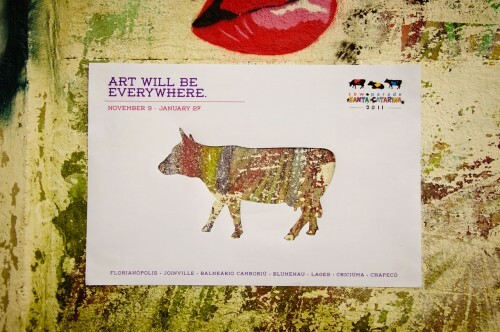 Once positioned upon the artwork, each poster showed a different “painted cow”. This allowed us to show the diversity of artistic styles of the CowParade. Over a million people have seen the exhibition. 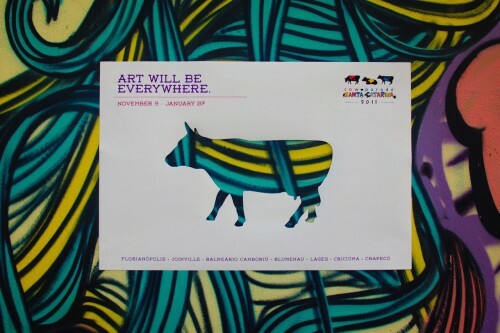 The painted cows were auctioned, raising more than R$ 480.000, half of which went to charities. After the exhibition the posters were removed, leaving intact the grafitti. I’m still learning from you, but I’m trying to achieve my goals. I absolutely enjoy reading everything that is posted on your website.Keep the information coming. I liked it!